Social media in 2017 has changed quite dramatically, as we have all witnessed a changing of the guard. A period when media has driven opinion to choose the most unlikely world leader, and most of that media was consumed online. Facebook is widely held responsible, along with Google, for the availability of certain news versus the other, perhaps more pertinent news. The question this throws up for your photography business is this: can you trust Facebook or any of the other leading social sites to give you what you want, and for the services that you might have paid for? Researchers in 2014 predicted Facebook’s demise in 2017, like a pandemic disease on a lifecycle, and you can see their theory, although in practice this will not be happening. It is too much part of the social fabric and as long as they remain transparent, useful and supported by brands then they will remain omnipotent. But trust remains a big issue. For your business, you should consider how Facebook views you as an individual. To them, you are a product which is packaged up with other products and sold to businesses looking to sell and market products to you. The same is true of your business – although it is both product and client. On a purely transactional basis, and as far as providing relevant target audience data, Facebook should be trusted. It is their bread and butter. As a news platform, the jury is definitely still out and will remain so for a long time to come. As we write this they have announced failures in their latest reports on fake news. SO WHAT CAN YOU DO TO ENSURE YOU GET WHAT YOU’VE PAID FOR? Figure out what your want from FB before you engage with it. Do you want to build your email database? Are you trying to build a community? Will you be sharing work? Start small. If you are going to spend money on advertising and reaching new customers, test the waters with a small amount and see how it works. Know your customer. 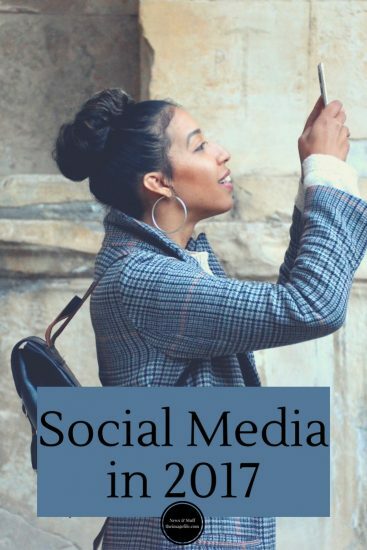 FB and social media platforms deal in specifics so really know what you want before you press the buy button – the age, geography, spending habits, interests and more are all sections that can be defined specifically. Your feed is like a muscle. If you don’t exercise it regularly it will not stay strong and engaged to it best potential. Posting regularly, once or twice a day, with a meaningful pinned post at the top will give your community a strong sense of your motivations and reasons to engage with you. To help you further, theimagefile has launched a Social Media Service. If you do not have the time or would rather the admin of social media was outsourced, theimagefile can take care of setting up and getting you started on sites including Facebook, Pinterest, Instagram, and Twitter.